You can download the videos to your computer and then watch them whenever you want. !!! You may need this codec to watch our download videos !!! It is the 3ivX codec and will display both the 3ivX and XviD format downloads. Got a view on any of our videos, if so we would love to know, so leave us a comment below. Our Road Trip to Chicksands, read more here. Irwin riding dusty downhill tracks Hopton & Bringewood in September. A sunny September day when loads of us went to Wharncliffe and rode the (New) Fast Track, No Human and Red River/Waterfall. Irwin’s bike was squeaking, Pete was on his brother’s bike and Josh still had his very heavy Norco. Irwin, Joe and Jeff riding in the Castleton area, followed a compilation of bits that weren’t used elsewhere from the first half of 2007. The Bamford MTB Weekend hill climb up Bamford Clough. There were about 20-30 riders taking part, include Jeff, Josh and JackR, and most got a fair distance. Our Bank Holiday Monday EPIC ride, including HopeX DH, HaggTor, Gores DH, and some gullies on Mono6ti. A short vid of a mess about up Mono6ti, with Joe and Jolley riding, and Jeff filming. Jolley was on his brothers bike. Read more here. Joe racing and Jeff filming. Read more here. We had a dig day up at Joe’s, with Joe, Jolley, Jonny, Josh and Jeff in attendance, and well you can only dig for so long before riding calls. filmed on the stills camera, and the stuff from the night of the 26th. This video is from our second group trip to Wharncliffe, with Irwin, Pete, Tim and Jeff, and mainly contains footage from the Fast Course, with bit of the Diamondback and NEMBA. Read the post about it here. 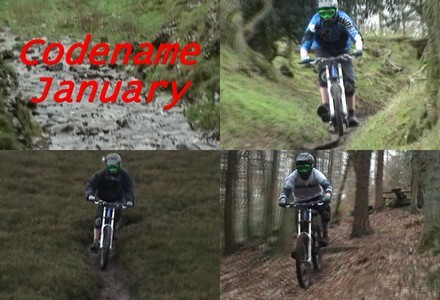 This video is the best of our January riding (hence the cryptic name 😉 ). Its starts with the river that is Cave Dale, behind Peveril Castle in Castleton. 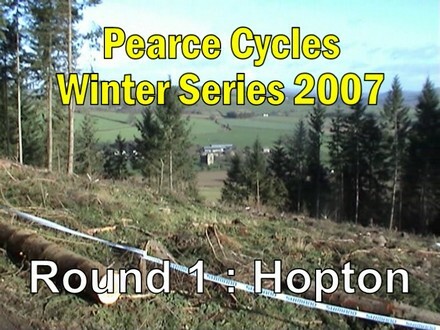 The Race video from the first round of the Pearce Cycles Winter Series 2007 at Hopton in Shropshire, its nearly 7 minutes long but is “Jeff’s best vid yet” so well worth a watch. You can read more about the weekend here, or you can read Joe’s in depth article here on dirtyhalfpipe. There is also all the video footage of the Monkyespoon and Dirtyhalfpipe riders in this video, its not intend to be a great video, its more just for us.